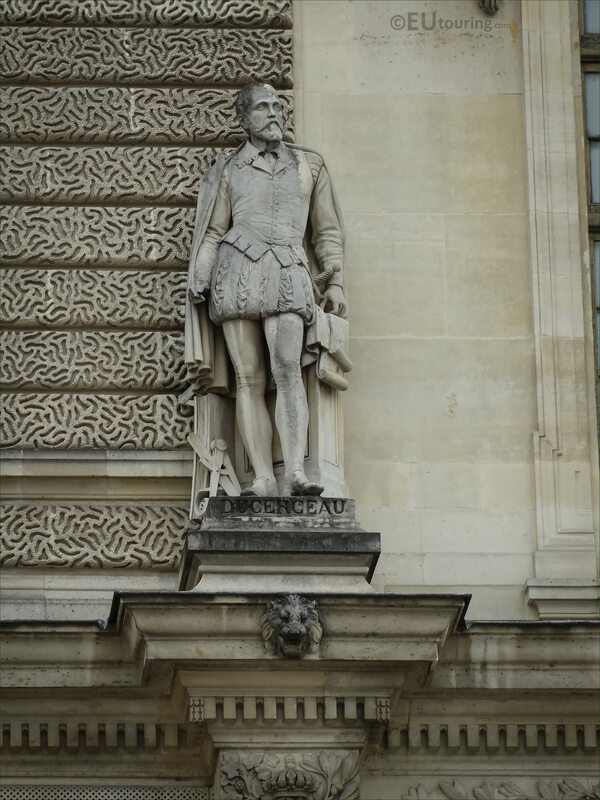 This time while we were within the Cour Napoleon looking at the Pavillon Sully of the Musee du Louvre, we took these high definition photos showing the statue dedicated to Ducerceau by Georges Diebolt. So this first HD photo shows the stone statue of Jacques I Androuet Ducerceau, which is located on the first level of the Sully Pavilion wing of the former Palais du Louvre, and this is located on the left hand side as you are looking at the facade from the main entrance courtyard to the museum where you will find the pyramids. Now this was produced by Georges Diebolt who was born in Dijon in 1816, and becoming a French sculptor he is most well known for the statues he sculpted for the Pont d'Alma, yet when the bridge was refaced, only the Zouave statue was put back in place and serves as a flood level marker for the River Seine. 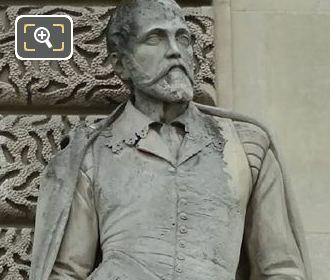 However, Georges Diebolt also sculpted several other statues for different commissions he was entrusted with, but the monumental work called Grenadier that was formerly on the bridge, was moved to Dijon, and faces the road going to Paris, which is the city where he passed away in 1861. So as we mentioned earlier, like you can see in this close up image showing the base of the statue, this is dedicated to Jacques I Androuet Ducerceau, which is also sometimes spelt du Cerceau, and born in 1510 he became a French designer and architect. 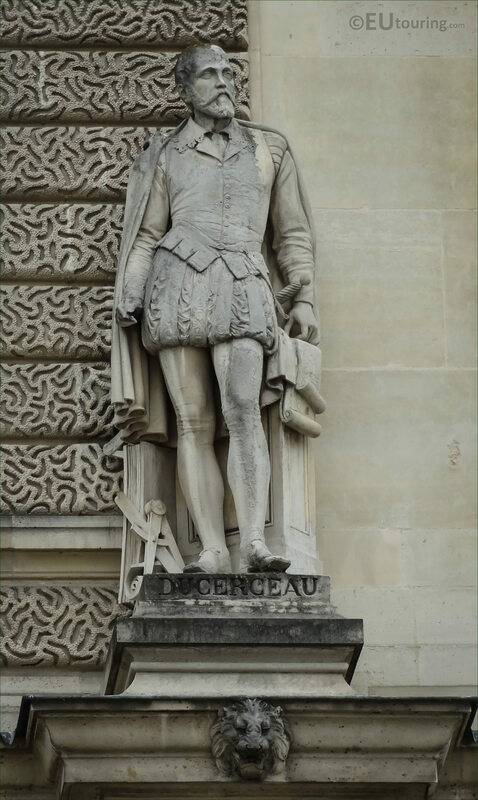 And becoming well known for decorative designs of furniture, ornamental aspects and architecture, he helped introduce renaissance architecture into France, at that point being appointed the Architect to the King, but he is mainly remembered for his suites of detailed engravings produced from 1549. 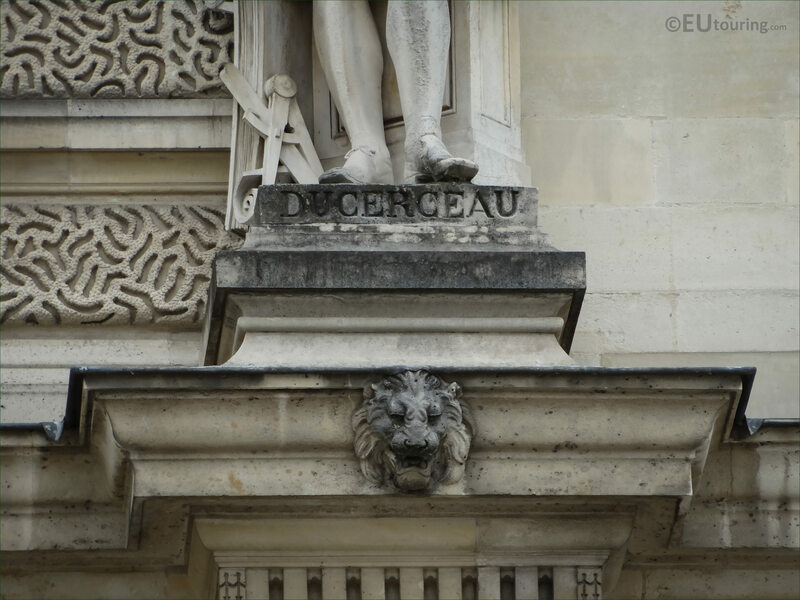 Yet he was also the first of a long line of architects and designers known as Androuet du Cerceau, with his son, Baptiste Androuet du Cerceau, being the architect who designed the Pont Neuf and Salomon de Brosse who was the grandson of Jacques I Androuet Ducerceau.